This item is currently out of stock. Please enter your email address to be notified when it becomes available again. 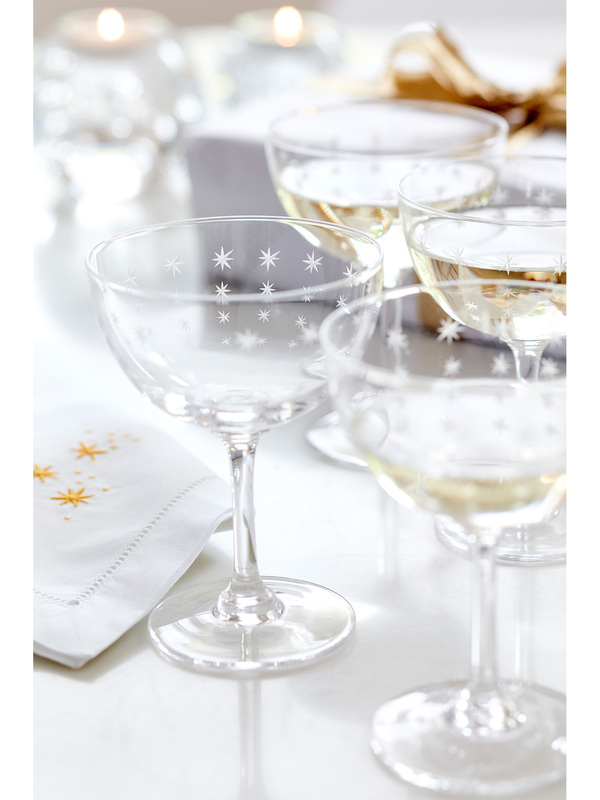 Serve up sparkle with your fizz, in our exquisite Sparkle Champagne Coupes. 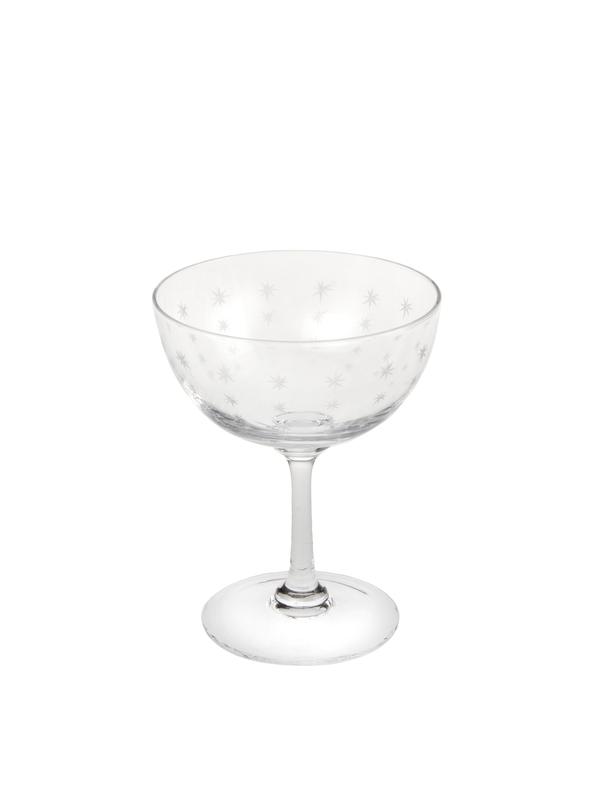 This fabulous set of six elegant coupes have been hand-blown and delicately hand engraved with dainty little starbursts, rising like bubbles to the top of the glass. Fill them up, share amongst family and friends and celebrate in style.